The Atebubu-Amantin municipal office of the National Commission for Civic Education (NCCE) on Monday, April 1, 2019, organized a forum to educate residents on transparency and accountability. 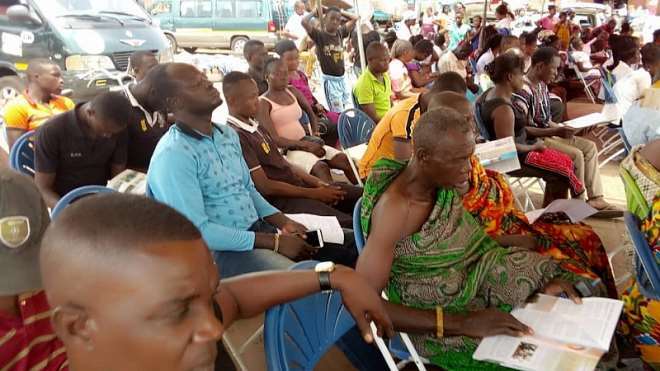 The one-day program was organized together with the municipal assembly to particularly and chaired by Ankobeahene of the Atebubu traditional area, Nana Owusu Gyimah to engage the public on the need to ensure accountability and transparency from people who occupy public offices. Speaking at the forum on the theme ‘Citizens for transparency’, municipal director of the NCCE, Mr. Patrick Tampugre shared that it is their aim to promote community ownership of projects and policies, increase awareness of local governance and empower citizens to demand accountability from duty bearers. He stressed that even though MDDA’s are doing their best to enhance developments into the various districts, it appears resident do not appreciate their efforts because of some information gaps between the two parties. Hence it is essential for them to hold such forums to educate people. “MMDA’s are making every effort to bring development to the people; however citizens think duty bearers are denying them the necessary development projects and policies. This means there is an information gap between government officials and the people. In order to close the gap, MMDA’s need to consistently engage the citizens in the planning and execution of projects in the interest of participatory democracy and transparency.’ Mr. Tampugre shared. The commission’s director added that as much as the people are expected to meet their various financial obligations to the assembly, authorities also have the duty to let the people in on how various resources are utilized for their benefit. 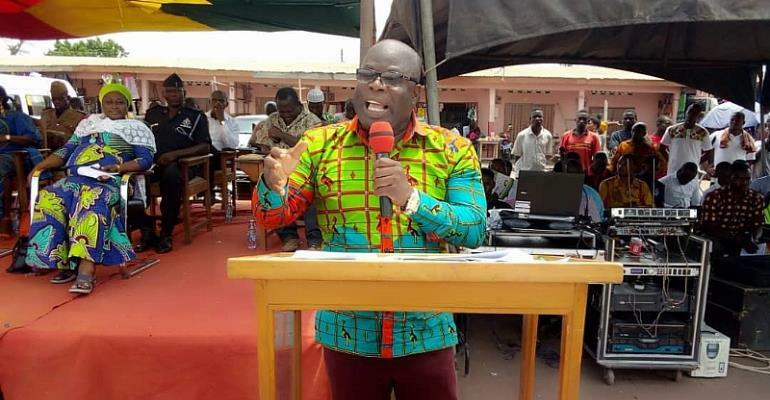 The municipal chief executive Mr. Edward Owusu whiles taking his turn to address the gathering outlined a host of achievements in the municipality that has been made possible under the New Patriotic Party government. He opined that agriculture, education, social protection, job creation, roads, and infrastructure has seen a major boost since the current administration assumed office in 2016. Mr. Owusu enumerated a number of projects funded solely or partly with internally generated funds. These include a forty-bed female ward at the Atebubu hospital, completion of a new office for the National Health Insurance Authority, rehabilitation of Atebubu main market and office for the Department of Social Welfare and Community Development, a new court building as well as a street lighting project. He, therefore, urged all to be alive to their financial obligations to the assembly to ensure accelerated development of the municipality. During an open forum, participants asked various questions key of which bothered on water, security, roads, the Fulani herdsmen menace, poor performance at the basic education certificate examinations and the frequent power outages within the municipality. The MCE together with other heads of department provided answers to issues raised by the people. A few expressed their gratitude to the Commission and the assembly for the opportunity which they think enhances good governance and called for replication in other communities.